Joel Embiid recently shared a story that very well could have ended his basketball career before it even got started. 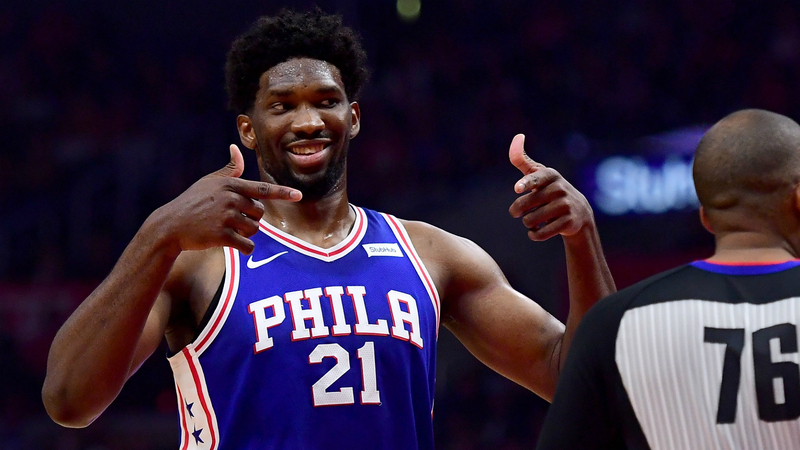 In an article published in The Players’ Tribune on Friday titled “It’s Story Time,” Embiid shares stories from when he came to the states from Cameroon at the age of 16 and when he got dunked on so badly he almost left Kansas. “My very first scrimmage at Kansas, I got dunked on so hard by Tarik Black that I almost quit. Tarik dunked on me so hard that I was looking at plane tickets home. This guy was a senior. He was a grown man. I didn’t know what was going on. He got his own rebound and dunked over me so hard that everything went in slow motion. After this moment he later went to his then-coach Bill Self admitting he wasn’t ready, Self wasn’t having it. The 2018 NBA All-Star, who was picked third overall in the 2014 draft, even shared where he got his shot from after a vigilant search on YouTube. He started with searching how to shoot 3-pointers, he didn’t like what he saw. Embiid then typed, how to shoot good form but he didn’t like that either. “Then the light bulb went off, man. I typed in the magic words. “WHITE PEOPLE SHOOTING 3 POINTERS. Before signing off, Embiid thanked his reason for picking up a basketball, Kobe Bryant, his parents and of course, Lil’ Bow Wow and random white people.